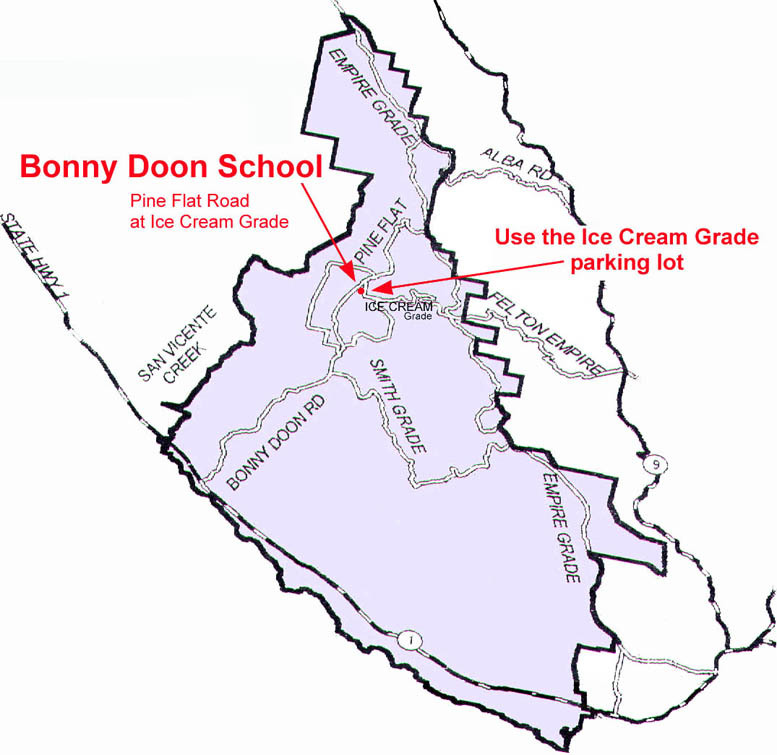 Bonny Doon Union Elementary School is situated at the corner of Pine Flat Road and Ice Cream Grade. Coming from Santa Cruz, the quickest way is to take Highway One to Bonny Doon Road. the tasting room, where the road changes name to Pine Flat. Continue another mile and a half or so up the hill to the school. It is ion the right, and fairly well marked. There are two parking lots, one off Pine Flat, and the other around the corner off Ice Cream Grade. The upper Ice Cream Grade lot is preferable.